Germany is a major development partner in political, economic and cultural co-operation. Its wide-ranging cooperation makes Germany one of the main donors to Kenya after the World Bank, the EU, Japan, the United Kingdom and the USA. Kenya also ranks amongst the leading recipients of German Development Assistance in sub-Saharan Africa. Development co-operation between Kenya and Germany commenced soon after Kenyas independence when a Technical Agreement was signed in 1964. Germanys bilateral assistance is usually disbursed under Technical Co-operation (grants) and Financial Co-operation (low interest rate loans). This assistance has been supporting programmes in economic and social infrastructure, rural development, agriculture, natural resources, conservation, health and education. The assistance is normally channeled through the Development Loan Corporation (KFW), the German Agency for Technical Co-operation (GTZ) and the Investment Development Bank (DEG). Various German political foundations also maintain regional offices in the country e.g. the Friedrich Ebert Foundation, Konrad Adenauer Foundation, Hans Seidel Foundation and the Heinrich Foundation. Other German institutions involved in activities in Kenya include German Churches, the German Volunteer Service and various social groups. Germanys bilateral donor commitments to Kenya had by 1993 risen to DM 125 million for 2 years. Although German commitment to Kenya declined significantly in the 1990's, following the change of Government in 2002, German revived its development cooperation with the country. Kenya's first Poverty Reduction Strategy Paper (PRSP) was drawn up in 2001 with German assistance. 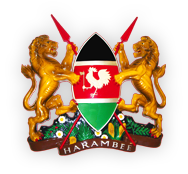 The incoming Kenyan government in 2003 supplemented it with an economic reconstruction component and drafted out of this, the comprehensive Economic Recovery Strategy for Wealth and Employment Creation (ERSWEC), 2003-2007, which is equivalent in substance to a full PRSP. The priority areas in Kenyan/German development cooperation mentioned above are consistent with key reform sectors outlined in the ERSWEC. Beyond the priority areas, individual projects are to be promoted in major thematic and multisectoral segments of the international development agenda, i..e. primary education, renewable energy, governance and poverty reduction. The most recent bilateral negotiations on development cooperation between Kenya and Germany were held in Nairobi, Kenya, on 10th December, 2013. The Federal Republic of Germany committed €233.7 million to fund projects and programmes in Kenya for the period 2014-2016 in the form of grants and soft loans under the bilateral development cooperation arrangement. This was an increase from €133 million from the previous period. P.O Box 14932-00800, Nairobi, Kenya. Telephone: 254-20-3748338 / 3748339 / 3742055 / 3742056. Mobile Numbers: 254-733-610432 / 721-540955.